To receive an Instant SALE Coupon click here. 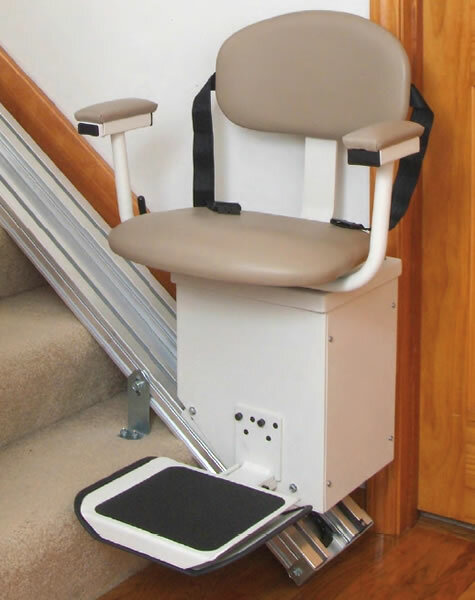 Comfortable and Easy to Use: Our factory reconditioned Deluxe Electric Powered Stair Lift comes with a flip-up footrest, a contoured backrest, and a padded seat for unmatched comfort. The 180-degree swivel seat lets you get on and off safely, and once you're seated, just push the lift button and enjoy the smooth ride - every time. * CT, MI and WA customers need to check their local building codes to ensure compliance. Need help measuring for your stair lift?